Happy National Chocolate Chip day!! Oops…..I’m two weeks late!! Oh well, every day is chocolate chip day at my house! On the actual day, after the tot went to bed, I whipped up a quick batch to fill the cookie jar. If you’re like me, I know the old Hershey’s recipe without opening the book. Chocolate chip cookie baking is like second nature to me. Every week when Alex and I head to the grocery store, we always pick up two bags of semi-sweet chocolate chips. 2 bags x 52 weeks = 104 bags…that’s a lot of chocolate!! I remember helping my mom make chocolate chip cookies when I was little. She never had her own recipe; she always used the recipe from the back of the chocolate chip bag. But the only thing different about her cookies is that she would add 1 cup of raisins. Yes, raisins. Now think about that for a moment…raisins are not chocolate chips, but being a concerned parent wanting to make sure her children get some nutritional value out of cookies she would put something healthy in them, just like adding broccoli to mac and cheese, or blueberries to pancakes. 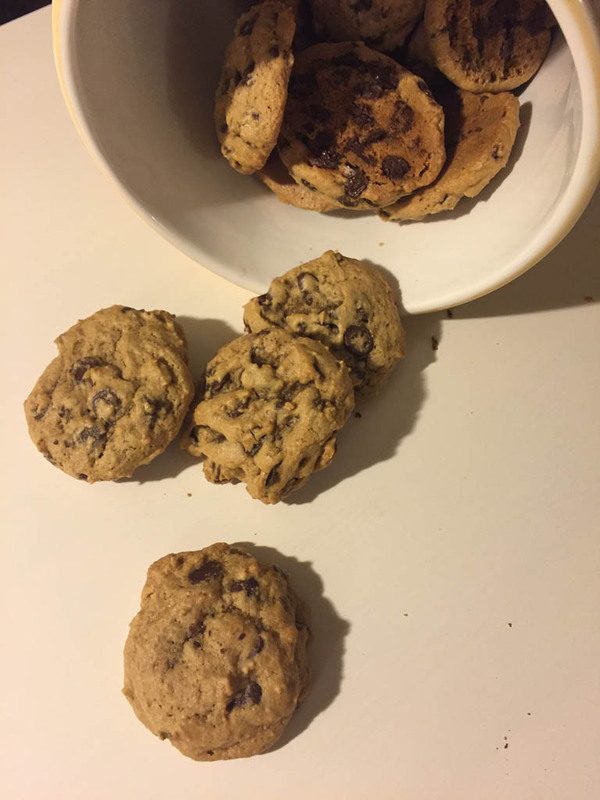 To a kid’s point-of-view…you gotta be kidding me…I’m being cheated out of more chocolate chips!! It’s like having trust issues with your cookies, or with the baker!! When I ventured out on my own I omitted the raisins and started adding a second bag of chocolate chips. Yep, I use 2 whole bags, and somehow it made the cookies a whole lot better! 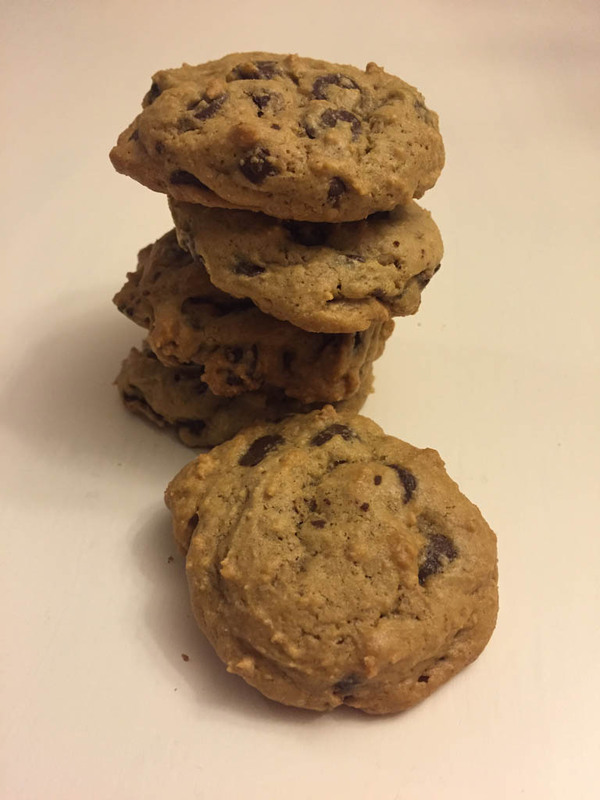 The ratio between dough and chocolate chips seemed to work out; rather than having more dough why not have a little more chocolate chips than dough? Sometimes I’ll mix it up and add 1 bag of semi-sweet and 1 bag of white chocolate chips, or a bag of mint chocolate chips around the holidays. Choose whatever combination of morsels you prefer, and you’ll be a happy camper. 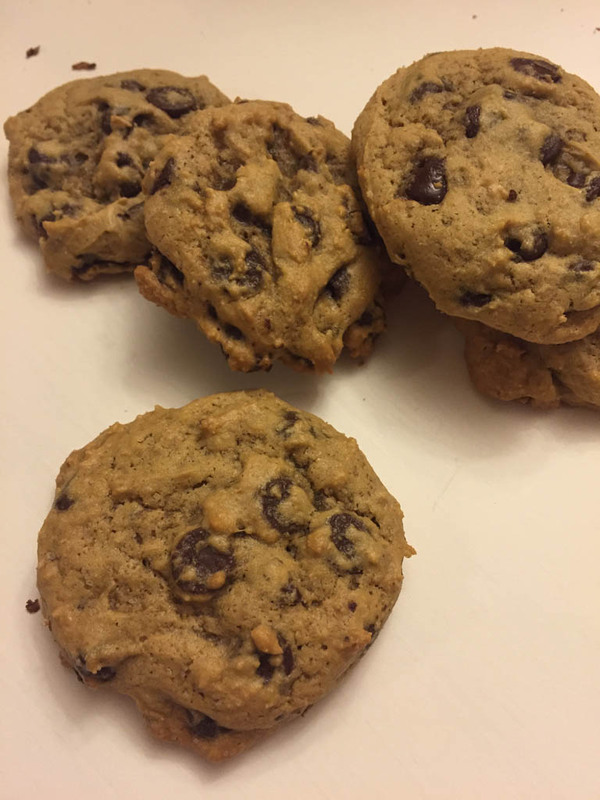 This recipe is my all-time favorite go-to from the classic Hershey’s recipe book. 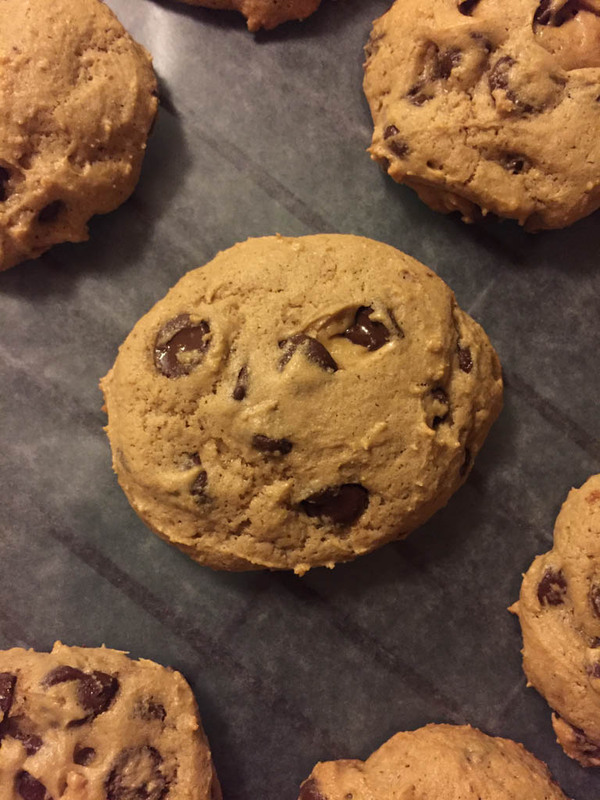 The recipe was doubled to accommodate for the second bag of chocolate chips. It’s the perfect amount of chocolate chips for this perfect recipe!!! In the book they’re called “Three-in-One Chocolate Chip Cookies. You can make a cookie cake out of this recipe, as well as refrigerated cookies and miniature cookies. I saw that Hershey’s has a new recipe online, but this recipe is from the old book, which you can still buy here. Beat butter, brown sugar and granulated sugar in a large mixing bowl until fluffy. Add eggs and vanilla; beat well. Gradually combine both wet and dry ingredients; add morsels. 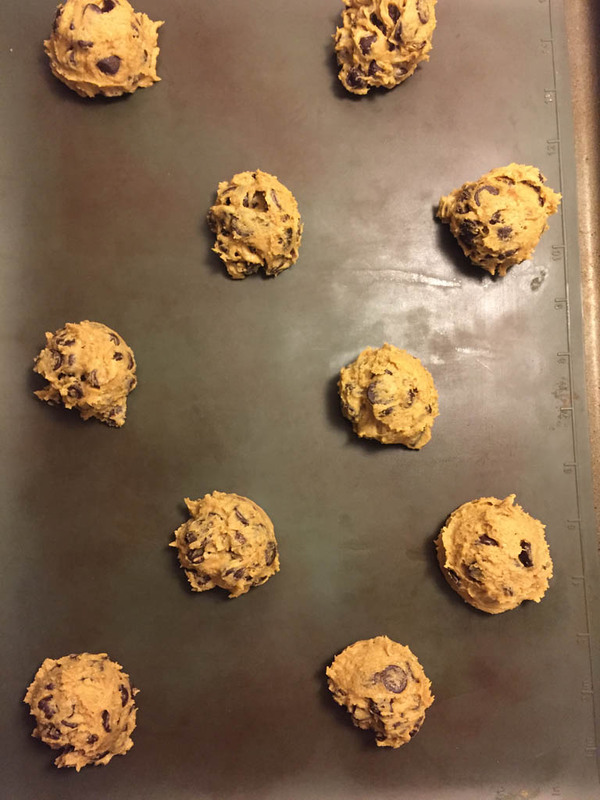 Scoop dough onto an ungreased baking sheet and bake for 10-13 minutes, depending on the size of your cookies. Remove from baking sheet and cool completely on wire racks.